A short sale can be the best option for some home sellers: If they can sell their property, they’ll avoid foreclosure. If you’re the buyer, your prospective may be different. Making an offer on a short sale is different from making a standard offer, and there are a few pitfalls you’ll have to navigate. While you can get a great deal, you’ll increase your odds of getting an approval if you know what to expect. 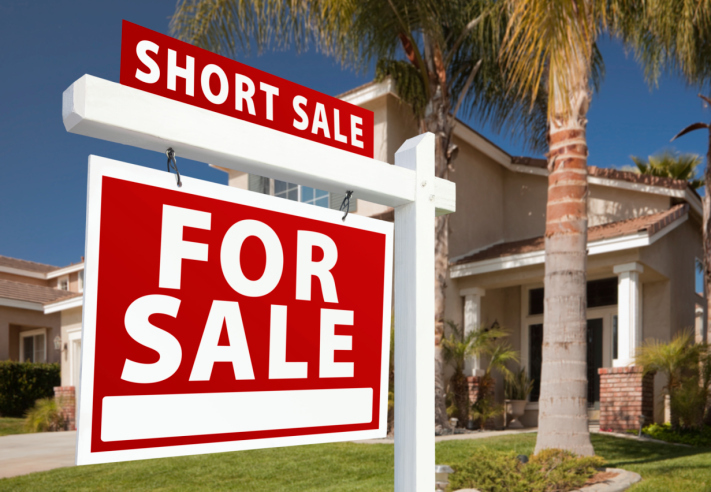 Short sale properties are different from traditional home sales and foreclosure sales. With a traditional home, you only need to work with the buyer and the buyer’s real estate agent. With a foreclosure, the lender has already bought the property—and you’re making an offer directly to the lender, without the buyer involved. With a short sale, the buyer is selling the property but the lender also has final approval on any offers made. Paying in cash will greatly increase your chances of the seller and lender approving your offer. However, many people can’t afford to buy a home in cash. If you’re using financing, make sure you have your pre-approval lined up before you make an offer on a short sale and plan to put as much down as possible. If you offer a pre-approval letter and a large down payment, the lender will take you more seriously. Short sales take longer to approve than typical home sales. With a short sale, the seller first has to approve your offer. Once the seller approves, the lender also has to agree to accept your offer. This process could take weeks, if not months in some cases. In a typical home sale, you can negotiate with the seller to reduce closing costs, cover fees or make repairs before you finalize the deal. Since you’re working with both a seller and a lender, asking for contingencies with your offer could result in a rejection. The lender is likely already taking a loss on the property and won’t want to lower their profits any further. The first offer you make may be the only chance you have to woo the lender. If your offer is way below the market value of the home, the lender may reject it and move on to another buyer. Meanwhile, you may have waited weeks or even months to get a response, only to be shut out of buying the property. In some cases, the lender will supply a counteroffer but that will delay closing even longer. A REALTOR® can help guide you through the process. Look for a REALTOR® with short sale experience. Once you find a home you’d like to make an offer on, it may also help to order a title search to learn more about the property before you start the buying process. For sellers: After all the staging, the photos, the open houses and the negotiations, you finally have a buyer. For buyers: After all the budgeting, deliberating and bidding, you’ve found a place to call your own. Your deal is ready to close, and then … it falls apart at the very end. It’s not a common occurrence, but just in case it happens to you, you need to know how to pick up the pieces. There are many reasons for escrow to fail and pending sales to go bad. Some of these are fixable; some aren’t. Real estate agents can help buyers and sellers understand what happened—and how to save a pending sale. The most common stoppages of pending sales are the result of buyer or seller remorse: Either the buyer or the seller has decided to back out. -Buyer’s second thoughts: The buyer may have decided that the price was too high, monthly payments too large, closing costs too high or that repair and renovation costs would be too expensive. -Seller’s fix: The seller can prepare a counteroffer to lower the asking price, cover more closing costs or cover certain repair costs. A real estate agent can advise a seller how best to react to the specific reason for the buyer’s actions, given the local market. -Seller’s second thoughts: The seller may have decided that he wants a better price or that closing costs have become too much. -Buyer’s fix: The buyer can increase with counter-offer or agree to pay more of closing costs. Closing costs are divided into fees for services required by a lender—which include an appraisal, a credit report, and flood and lead paint certifications. Other costs cover reports like termite or pest inspections, land surveys, fees for loan origination charges, title company services for handling escrow and the costs of title insurance—plus property tax and insurance. The payment of these costs at closing can be bargained for between buyer and seller as part of the purchase agreement. Financing can disrupt even the most promising sale. That is why most sellers and their real estate agents prefer to work with prospective buyers who have been pre-qualified for loans. The first place a buyer should revisit, if they’re rejected, is errors on their credit report. Buyers often can correct those errors: Maybe a lien or judgment has been reported that has been paid off but not properly reported. Buyers need to be wary about taking out large loans like automobile purchase contracts prior to buying a home. These transactions harm home loan qualifications. A buyer rejected also could offer a larger down payment, thus reducing the mortgage balance to alleviate a lender’s concerns. On occasion, a contract for a home sale is made contingent upon the successful sale of the buyer’s home or the seller closing on her next one. If either of those deals falls through or gets delayed, the parties can attempt to negotiate an extension for the other sale. Whoever causes the delay could offer extra help—like covering a hotel for a few days or giving back a little cash—to keep the original deal rolling. Of course, price, closing costs and other offers and counteroffers can be made until the parties come to a meeting of the minds over a new contract. A home sale contract can also be made contingent upon a structural inspection. This can be more complex and far-reaching than the usual home inspection. If structural repairs are needed, the buyer and seller might negotiate over money or promises to correct the problems before the escrow can close. Sometimes the seller can buy property insurance to cover repair costs after the sale, to satisfy a buyer’s concerns. You’re selling and have signed on with a REALTOR®. What services will you get? How will they help prevent a deal from collapsing? REALTORS® listen to your concerns and are sensitive to your needs. 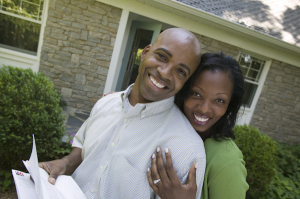 They will protect and represent your interests as a client throughout the closing process until you house is sold. They can advise on how to respond to an offer, how to make a counteroffer and how to effectively address potential problems in closing a deal. This will include responses to buyer financing problems, buyer remorse and unforeseen inspection, repair and closing issues. A REALTOR® knows what has worked for similar properties, what the markets can bear and can offer concrete solutions to keep pending sales rolling. Maintaining your confidence in your agent through the stages of listing and marketing your home and through the ups and downs of the closing of escrow will pay off.